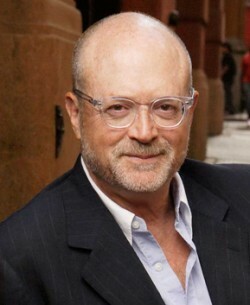 Mickey Drexler, who has served on Apple's Board of Directors since 1999, will retire at the end of his current term, according to a new shareholders filing. Drexler's term ends at the annual shareholder's meeting, on March 10, 2015. A replacement for Drexler has not yet been chosen. On January 16, 2015, Millard "Mickey" Drexler, 70, who has served on the Board since 1999, notified the Board of his intention to retire at the end of his current term, which will expire at the Annual Meeting. The Board has not yet nominated an individual to fill the vacancy that will be created by Mr. Drexler's departure from the Board. Drexler is the CEO of JCrew and was formerly the CEO of Gap, where he's widely credited for the chain's popularity during the 1990s. Jobs brought Drexler in to help define Apple's retail store goals at a time when its retail push was just beginning. Ron Johnson was hired during the same time period, and the first Apple Stores launched in 2001. Drexler is the second longtime board member to leave the Apple Board of Directors in recent months, with Bill Campbell retiring back in July of 2014. He was replaced by BlackRock's Susan Wagner. A level head, he will be missed.